Sport Injuries If you are a highly active person and play alot of sports, chances are, you may have injured your foot or ankle. Andrew Green of Atlantic Foot and Ankle discusses types of sports injuries and their treatments. No one should be forced to give up the activities he loves because he can’t stand the distress of foot or ankle pain. That being said, are you sacrificing your quality of life because of a foot problem that won’t go away? How many jogs have you postponed lately because you hurt too much? When was the last time you played your favorite sport without wincing or bowing out early because of pain? Are your feet in pain 24 hours a day, seven days a week? Do you dread getting up in the morning because it means that you’ll have to walk and put weight on your throbbing feet? Are you finding it difficult to enjoy life because you’re fixated on the pain and uncertainty of what could happen to your feet? Unfortunately, you’re not alone; lots of other people have similar problems. However, after successfully treating hundreds of patients who’ve had the same concerns, Atlantic Foot & Ankle Associates can legitimately tell you that you don’t have to live like this any longer. No matter your concern—from athletic injuries to cosmetic skin conditions to diabetic nerve pain—our exceedingly accomplished podiatrists have the skill and motivation to help you find relief. At Atlantic Foot and Ankle, our team of highly dedicated and compassionate podiatrists are here to help you find relief. With over 65 years of experience helping sufferers get back on their feet, we’re both proud of our success record and determined to help you stand tall no matter what is bringing you down. Hurt your ankle while playing football? Noticed an unsightly fungus after showering at the gym? Tennis shoes giving you blisters or arch pain? No matter what ails you and your feet, we’re prepared to help. Our skills and insight into diagnostics and treatment set us apart from other clinics and care facilities. 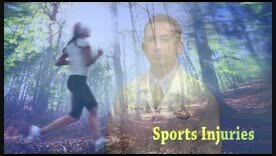 Sports medicine and Foot and ankle trauma: Relief from sprains, broken bones, muscle fatigue, arch pain, etc. Skin and toenail ailments: Treatment and prevention of fungus, athlete’s foot, bacterial infections, and ingrown toenails. Diabetic foot care and diabetic wounds: Discomfort and pain caused by poor circulation, numbing, ulcers, infections, and the complications of neuropathy. Nerve-related foot problems: Complications caused by diabetic neuropathy, pinched nerves, tension, and many other causes. If a compromised nerve causes you pain, we can help relieve the stress that everyday activities have on the nerves in your feet. Surgery: Surgical removal of bunions, neuromas, bone spurs and growths, as well as the reconstruction of hammertoes, foot and bone abnormalities, and fallen arches. Comprehensive footwear diagnostics: Helping the overall support of your foot by providing measurements, advice for choosing the right shoe for specific activities, and helping you find the right fit. The ability to offer a wide range of treatments for your specific needs—from custom orthotics to shock wave therapy, we’re prepared to do what it takes to relieve your pain. State-of-the-art equipment, including diagnostic machinery and digital X-ray capability right in our offices to save you from having to make unnecessary trips to the hospital or an urgent care clinic. Our own acute care service for serious injuries will allow you to be seen by a physician within 48 hours (but often same-day), so you save both time and money by avoiding the emergency room. Compassionate care and attention to every one of our patients’ needs. Precise laser treatment regimens for the treatment of toenail fungal infections and neuropathy pain therapy. Extensive treatment options. We don’t just prescribe you medication and kick you out the door; we take the time and effort to diagnose your problem thoroughly in order to ascertain the best pain management solution for your needs. A conviction to making you feel comfortable and secure with your treatment. Participation in a wide variety of insurance programs, including Florida Health Care Plans, Humana, Medicare, and many more. In addition to providing unparalleled care and treatment, we also strive to ensure that we’re accessible enough for you to get the care you deserve without having to go out of your way. As you sit and read this, your feet are crying out for relief. They’re trying to tell you that something is wrong. By taking one simple step you can help your feet, ensure proper treatment, start to feel better, and get back to doing the things you love. One step…and it’s not even that big. Contact us by phone at 877-816-8826 or fill out our contact form to schedule your comprehensive appointment. One visit can give you the tools and support you need to stand up to pain. Don’t allow discomfort to cause you to step out of your comfort zone and deny yourself the active lifestyle you cherish. Come see us today and step into the support and care you need to get back to doing the things you love. We’re waiting to help you get back on your feet. What are you waiting for? What’s more important to you: following the latest shoe styles or having no pain in your heels? That may not be a fair question, because there are stylish shoes that still give you the support you need to avoid problems, but you may not be choosing them. Before you go out and fill your shoe racks with the latest decorated flip-flop styles, consider this: doctors are seeing increased heel pain in 15 to 25-year-olds since these flimsy sandals became their go-to choice for daily wear. You may feel as young as you always have, but sometimes your body can betray you. While staying active has health benefits as you age, that activity also comes with risks. The American Academy of Orthopaedic Surgeons reports that doctors have seen an increase of ankle fractures over the last few decades, and they attribute it in part to a more active older population. Broken ankles that don’t heal properly are one reason you could develop a related disorder such as arthritis. If you happen to injure your feet, make sure you get thorough care. You’ve probably been ignoring them or covering them up with bright nail polish, but those embarrassing toenails could have a problem that’s difficult to treat, and the sooner you get started the better! If your nails have yellow or white streaks or dark patches in them, or if they are thick, ragged or crumbly, chances are you’ve picked up a toenail fungus that is wreaking havoc under your nail. Don’t worry, it’s not a life-threatening condition, but don’t delay either, because this pesky problem won’t go away on its own. Dealing with the pokes and strips and monitors is bad enough, but add to that a series of foot problems that make it hard to wear shoes or walk around, and your diabetes can really complicate your life. At Atlantic Foot & Ankle Associates on Florida’s East Coast, we want to help you maintain and enjoy your normal activities, so we offer these do’s and don’ts of diabetic foot care to put you on the right track. A neuroma is an enlarged, benign growth of nerves, most commonly between the third and fourth toes. Neuromas are caused by tissue rubbing against and irritating the nerves. Pressure from poorly fitting shoes or an abnormal bone structure can also lead to this condition. Symptoms may include sensations of thickness, burning, numbness, tingling, or pain in the ball of the foot.Treatments generally include wearing corrective shoes or orthotics and/or cortisone injections. In severe cases, surgical removal of the growth may be necessary. No one likes to think about having surgery. It implies something is seriously wrong, and there are risks involved. Have you put off going to the podiatrist because of denial, fear, or just because you are busy? The good news is, most of the time foot pain can be resolved without surgical intervention. Just be thankful that when foot and ankle surgery is needed there are experts like the specialists at Atlantic Foot & Ankle Associates to help us through every step of the process. You don’t need to be of a certain age to appreciate the old Beatles’ song “Help!” It talks about growing older, feeling insecure, and realizing you sometimes need somebody to help you through. If you suffer from foot problems, some of the lyrics are very apt, like “Help me get my feet back on the ground.” Custom orthotics may be able to help you do just that.